Legacy of Selling more than 96 plots to happy families. Hope springs eternal in your heart & when your heart yearns for a living space that is a holistic blend of modernity & nature, you need not look further than NAG GREEN PARK being developed by Nag Projects limited; who have already delivered 13.02 acres of BMRDA approved plots for sale in Bangalore, projects to satisfied clients. Located off the Bangalore- Hosur Highway amidst tranquil surroundings Attibele - Anekal Road in Bangalore, the project location provides easy & convenient access to global quality educational & healthcare institutions. it enjoys close proximity to popular landmarks like KHB's Surya City, Narayana Hrudayalaya Hospital, Electronic City & Anekal Railway Station. Koramangala - the popular commercial hub of bangalore is just 40 minutes drive on the elevated expressway. In addition to the Taal Airport & the Anekal Railway Station, there is a proposed Satellite Town Ring Road(STRR) & Anekal Town Ring Road(ATTR) coming up near the location, which means you always enjoy good road, rail & air connectivity. Thank You for providing a Valuable Information in Lands for sale in Bangalore. 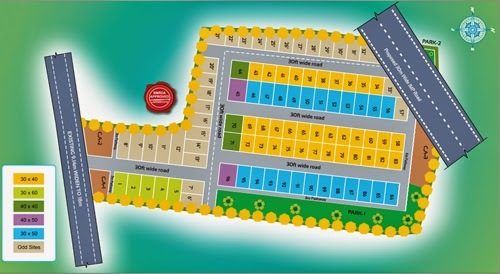 Looking for approved ploed plots in Bangalore by BMRDA within the floor people budget be located at Attibelle - Anekal Road in Bangalore. These can be true by Nag Projects Pvt. Ltd. Bangalore... They hav all approved plots foor sale in East and South Bangalore, Near Electronic City.They are providing best document preparation and delivery. NAG Projects is the one of the best sources to find better plots for sale in Bangalore.